As a person who has had endometriosis for as long as I can remember I can attest that myths about endometriosis still run amok all over the place. 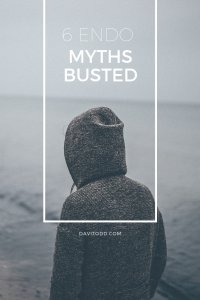 These myths aren’t found just on the internet either. I’ve heard them at school, the mall, even in doctor’s offices. Since March is Endometriosis Awareness Month, I thought it would be a good opportunity to touch on this disease that eventually had me walking with a bright blue cane for awhile. You don’t know what Endometriosis is? 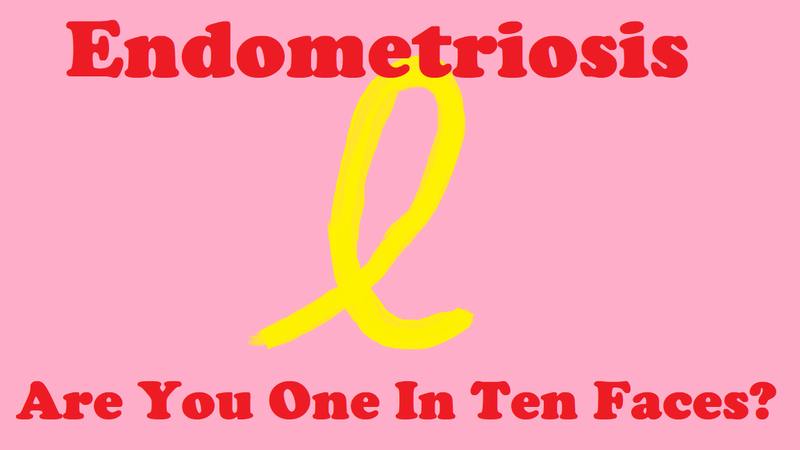 Check out my previous post on Endometriosis , or save it on Pinterest. The myths and misconceptions I’m about to cover are not in any order of importance but they do need to be stopped. All you need is a hysterectomy and you will be cured. It’s a very common thing for someone to say to those of us with Endometriosis. Unfortunately, it’s not the actual normal plumbing that is causing our pain. Endometrial lesions are OUTSIDE of the uterus itself not just on our reproductive organs. Some of my friends have had these lesions on bowels, ureters, a kidney, and really the list can just go on. Mine was in the peritoneal wall of my abdomen, ligaments, and the Sigmoid colon. Since hysterectomy only takes out the uterus and in some cases the cervix, all these painful lesions are left behind and so is the pain. Endometriosis is just “monster cramps” take some over the counter pain medication and stop being a baby. When I had my excision surgery in September of 2015 with Dr. Ken Sinervo, that was the first time in my life that I remember having no pain from endometriosis. After only 2 days, I didn’t need any pain medication other than over the counter Advil. I didn’t need Advil for very long either! This was also the first time that I actually realized that an over the counter pain reliever ACTUALLY WORKED. Most people didn’t know that when they would offer me some of their Wal-Mart over the counter pain medicine, I thought they were crazy for thinking it worked. I’m not even kidding when I say that taking Naproxen, even prescription strength, was as useful as taking sweet tarts or tic tacs for my pain. If you also suffer from Endometriosis pain, you know that I’m not even exaggerating here! Most of my life I thought all of you taking over the counter pain reliever were being sold snake oil, imagine my surprise when I took some, and it worked! Just have a baby and it will go away. This is really bad advice and please don’t say this to anyone. A baby is a permanent addition to your life that many women want and some of them can’t have due to Endometriosis and other issues. Some ladies will find they have some time with no pain at all. I on the other hand had a massive increase in pain due to the location of my disease. When the pain finally returns, you now have a baby that needs you even though you can barely breathe through your pain. Please understand, I don’t regret having children in spite of endometriosis and I’m not suggested if you have it, you shouldn’t have kids, just please do not think that having a baby will fix it. If you have Endometriosis, there is no way you will EVER have kids. Again, this is simply NOT true. There are a lot of factors that will determine if a woman with Endometriosis can still have children. It is much more difficult for you to conceive if you have Endometriosis on your ovaries or Fallopian tubes for example. Personally, I was able to have some children, but my lesions were not primarily on my reproductive organs. Ironically, many women are not even diagnosed with disease until after the first child is born. Did you know that many of us have seen several different Doctors for as long as 10 years before we even get a diagnosis? Endometriosis is from retrograde menstruation/tampons. This one, I can sort of understand why it is still out there, it was the best theory years and years ago. However, science has improved and we now know that even babies still born have had the lesions inside their little bodies. While it is true that no one can agree on a definite cause, this isn’t it. My own mother has endometriosis and wouldn’t let me wear tampons for this exact reason! I still had Endometriosis though. Some great Endometriosis specialists like Dr. David Redwine, Dr. Andrew Cook, Dr. Robert Albee, and Dr. Ken Sinervo have all published work showing that this theory is nothing more than a myth. Unfortunately we still have pharmaceutical companies publishing this myth on their websites and pamphlets. These are 6 of the most common things I hear regarding Endometriosis. What about you? Do you hear myths about Endometriosis too? I’d love to hear what you’ve learned about this disease and what has been proven false. I have Endometriosis or think I may, what do I do now? First of all, I’m so very sorry! While we can’t yet say, there is a cure, there are some better methods of surgery that are becoming more main stream. This is called excision surgery and it’s not the same as ablation surgery despite the many claims that it is. You’re not alone! At least 1 in every 10 of us have it. 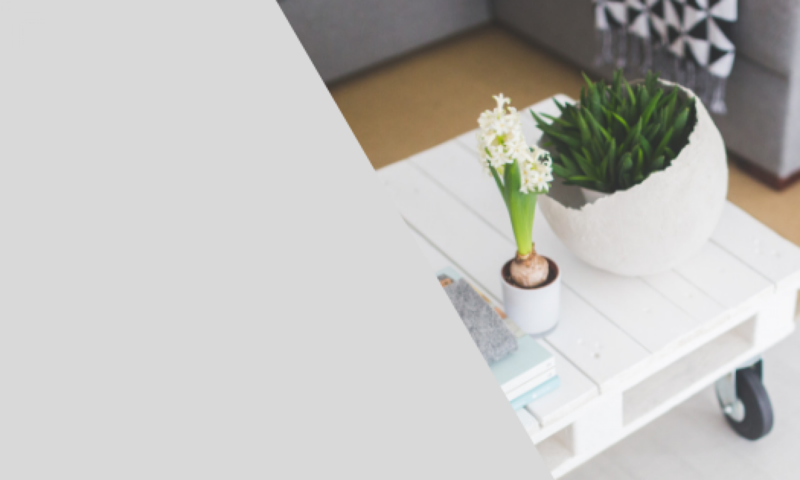 Below I will list some great resources for you. Thanks So much for spending time with me today. I love hearing from ya’ll so please leave a comment or message below! I really should have made more of an attempt to do this article while in recovery. It would have been nice to have a more “month by month” story but in reality, I was busy getting well and recovering. In the early days of recovery, I was also dealing with thyroid disease that was newly diagnosed and I was just so tired, it was all I could do to just feed myself. Thankfully, I am here today a little over two years later and I feel like an entirely different person! I’m not 100% well, I may never be, but endometriosis hasn’t been a problem for me in two entire years and that is HUGE. Endometriosis is tissue that looks like but is NOT the same as endometrium tissue that grows outside of the uterus. It has a lot of symptoms but the most common one is extreme, debilitating pain usually around menses and often during ovulation as well. These tissues can grow just about anywhere, not just on the reproductive organs. Women have it on their diaphragm, liver, bladder, colon; it is not reduced to being located only on the ovary, Fallopian tube or uterus. Due to the lack of education on Endometriosis, it is commonly misdiagnosed and women wait on average 7-10 years to get a correct diagnosis. To make matters worse, endometriosis is often responsible for the build up of adhesive tissue that begins to slowly glue our organs together so that they can’t move freely any longer. Adhesion tissues also contribute a great deal to pain levels, poor quality of life, and reduced mobility. By the time I was 32, 20 years of pain had passed (what would you do in 20 years of time?) and so had adhesion build up. I literally could not sit up in a straight back chair because my mobility had been so greatly reduced. Once I had been a pretty athletic person but as I aged, the amount of exercise I could do was greatly reduced until finally I could barely walk. I felt like I was loosing who I was in leaps and bounds while everyone else had a normal body and aged slowly. During one the episodes of menses pain I laid in my bed and really wondered how much more I could take. I decided to search on youtube for endometriosis and I found a video done by Rebekah Hoyt called Ending Endometriosis. I was actually down right mad after watching it! Surely she must be selling snake oil and getting paid truck loads to make money off our suffering (she wasn’t!). You see, my mother had endometriosis and she had been to several physicians and nothing was ever able to help her. In fact, most of the treatments my mother went through actually made her pain worse each time she tried it. I had been conditioned since I was 12 to believe there was no hope for this, it was just my lot in life. However, my subconscious held on to the information in the video and a few months later, in agony again, I called the Center for Endometriosis Care, I had reached the end of my rope, I wasn’t living, I was literally just existing; something had to be done. Locally, I was only offered the traditional treatments of pills, Lupron, or surgery. I wasn’t willing to try Lupron with my newly diagnosis thyroid disease, pills had failed so many times before, and the surgery they offered here was the same type that failed my mother and every other person I’d known with endometriosis. I was determined, if I must have a surgery, it will be a different procedure than they offered my mom. Little did I know then, this would soon be the best thing I’ve ever done for my health. Hope was rekindled, life was on the way. Excision surgery via vaporization was now the agenda. I’ve never met this woman but I am SO thankful she made this video or I may still be in pain today! Do you want to know more about my life with endometriosis? Comment below or give me a like if you’d like to see more information regarding endometriosis in my life and how I eventually overcame it or if you’d like to see more resources. Need more resources about Endometriosis? If you’re on Facebook and would like to know more, join Nancy’s Nook group where lots of great up to date endometriosis information is posted by some of the best in the field as well as patients who have gone many years longer than I have to date with no recurrence.